Welcome to SteelLite Metal Building Company! Building owners demand the most value possible from their facility, and SteelLite's unique design delivers that needed value to each customer. 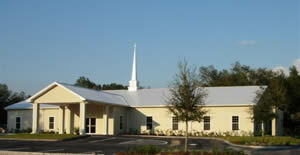 Each steel building is custom engineered and manufactured to meet the specific needs of the building owner. 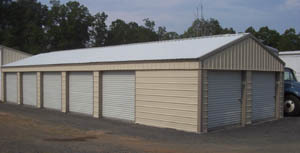 SteelLite metal buildings offer businesses something very important to them -- Lower cost of ownership. SteelLite's building system is very different from other steel building companies. Most steel building manufacturers are using designs from the 1960's. SteelLite's modern design is a better choice for many building types such as churches, schools, offices, hotels, and stores. Our proprietary engineering provides all the benefits of steel construction while avoiding the drawbacks of typical I-beam "rigid frame" construction. SteelLite metal buildings excel architecturally, too. Steeper roof slopes are standard. Interior walls are smooth, without the "boxed out" columns along the perimeter. Roofs can be hipped, gambrel, monoslope, or multi-pitched. Conventional finishes such as brick or stucco are easy. Shingle roofs are also easy. 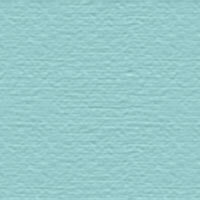 Interior finishes such as sheetrock are simple and less expensive, requiring only steel furring. Our technology is beneficial for very small buildings and for very large projects, for simple, single story, gabled roof such as retail stores, factories, and warehouses, or for very complex, multi-story complex roofed structures such as office buildings, churches, nursing homes, and hotels. SteelLite structures have simpler foundations requiring less concrete. Conventional exteriors are simple and less costly to achieve in a SteelLite metal building. And, like all type I and II non-combustible structures, SteelLite buildings may qualify for lower fire insurance costs. But the most significant cost savings comes from the energy efficiency capability of a SteelLite metal building that is not achievable in traditional metal buildings. Those "over-the-purlin" insulation systems simply cannot compare to SteelLite's R30 insulation system, saving thousands of dollars every year. SteelLite can manufacture structures hundreds of feet wide and long, up to 140' clear span, and multi-level up to 6 stories tall. Simple or complex, our structures are manufactured and delivered to your job site ready for installation. As a matter of fact, the more complex the structure is the more appropriate SteelLite is for the project. Stronger, more attractive, less expensive. 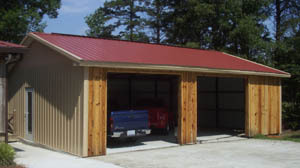 Be sure to look at SteelLite Metal Building Co. for your next building project. 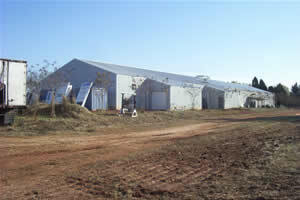 Appalachian Regional Ministry describes SteelLite Metal Buildings as a "Volunteer Friendly" building system because small groups of volunteers are easily able to erect our buildings without special training or special equipment due to the the simple construction techniques and light-weight components. SteelLite Metal Building Co. is donating a building to Faith Ministry in Mt. Holley, NC to be used as outdoor covered shelter.